The Terry Fox Research Institute is pleased to announce the launch of its cancer research programs for 2016-2017 funded by the Terry Fox Foundation. Please check the Institute’s website www.tfri.ca under the heading ‘For Researchers’ for further details. The Terry Fox New Frontiers Program Project Grants support multidisciplinary teams of excellence that contribute to well-defined research topics of relevance to cancer has an initial deadline of July 4th, 2016 for Letters of Intent for its 2017 competition. The Terry Fox Research Institute’s Translational Projects seeks Pan-Canadian, multi-disciplinary, milestone-driven teams that develop clinically relevant research at the early stages of translation – at the stage between discovery and early stage clinical trials over a five-year period has a deadline of June 6th, 2016 for an Expression of Interest. 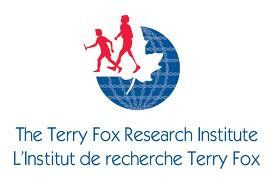 The Terry Fox International Pediatric Cancer Award seeks to support the research of pediatric cancer researchers from developing countries as they return to their country of origin on completion of their research training in Canada for a period of three years and has a deadline of June 3rd, 2016 for an application to the 2016 competition.